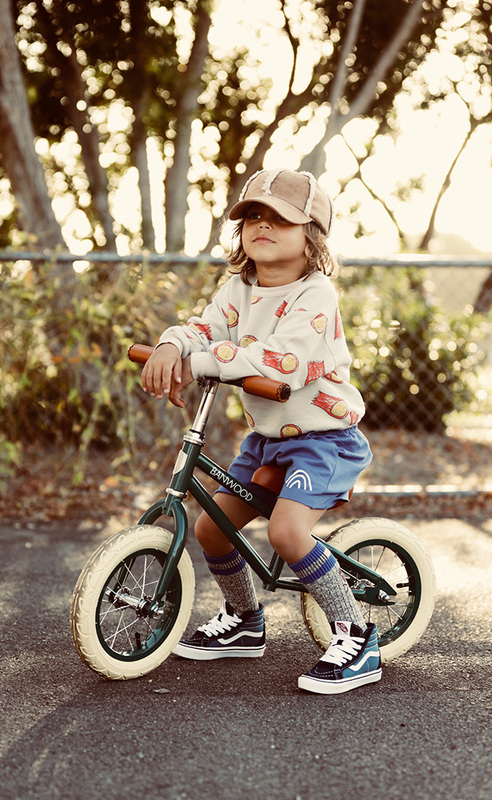 Blender Agency Kids represents some of the most sought after high-end and contemporary fashion kids brands. Founded in 2011, the company is now one of the largest of its kind in Scandinavia and has established itself as one of the most influential and forward looking kids agency businesses on the Scandinavian fashion scene. For more than 10 years FUB have been designing timeless knitwear for people who care. Always working with pure clean materials of the best quality. FUB is a danish brand founded in 2006. The New is modern brand inspired by women fashion.Its simple and playful. Designer Remix is a Danish fashion house established in 2002 by Charlotte Eskildsen. In 2008, she created Little Remix, a clothing line for girls aged 6 to 16. Charlotte's first daughter Smilla is the model for Little Remix campaigns. Les Coyotes de Paris is an Amsterdam based design studio with an international approach to fashion. Each collection is characterized by re-invented iconic shapes, twisted into modern silhouettes. The collection for girls is from 6 -18 years. Lyle & Scott is a profitable, privately owned Scottish brand with a 140 year history that has built a reputation for crafting high-quality knitwear and other clothing. We are a brand with true authenticity, heritage and expertise recognized throughout the world; from early collaborations with Christian Dior to clothing some of the world's golfing greats. Lyle & Scott is a simple and clean brand for teen boys. Lisa Carrol, a designer and new mommy, dreamed of creating a brand that would offer only the softest cotton fabrics painted with dreamy prints. She never imagined she would build a go-to brand for mommies all over the world. LIVLY was founded in 2011, after her twin girls, Liv and Lilly. The brand is Swedish. Juicy Couture is well know for their track suits in velour. The American brand was first very popular in the 90tis and is now back on the market again. Juicy Couture is a glamorous, irreverent and fun lifestyle brand for the decidedly fashionable, bringing LA style and attitude to girls all over the world. Embracing its Los Angeles heritage, Juicy discovers the couture in the everyday and delivers an element of surprise in all of its designs. Le Petit Tom became famous and well known for introducing new, celebrity style brands into the baby branch and market for the Netherlands and Europe. They are know for their big and fabulous skirts. 1962: It all begins. The name Havaianas is Portuguese for Hawaiians. The first pair of Havaianas was born in 1962, based on the traditional Japanese sandal known as the Zori, whose soles are made of rice straw. The texture of Havaianas’ rubber soles are like rice grains, one of the many details that make Havaianas unmistakable. Veja is a French trainers brand. Veja is fairtrade and uses ecological materials, organic cotton from the Northeast of Brazil, wild Amazonian rubber and ecological fairtrade leather. In 1911 in Torino Italy, Walter Martiny started the production of rubber-soled footwear branded with the Superga logo. In 1925, his designs expanded to include footwear with vulcanized rubber soles and the Superga 2750 style was born. The original, classic Superga plimsoll has gained iconic status since its inception in 1911. No longer the reserve of chic Italians who have worn them from the city to the beach for generations, this timeless design works with retro 1950’s looks like cropped trousers or tea dresses for the girls and with chinos and a classic polo for the boys. More than 100 years, New Balance has worked to move the world around us. Because they believe in one simple truth: they were born to move. The products are the perfect blend of function and fashion, giving you the performance technology you need and the style you want. LIEWOOD creates irresistible products for the modern family – from organic textile products and soft knitwear to our collection of bamboo tableware in beautiful shapes and delicate colors. All together the products create a unique, pure and simple universe – and they are all a result of our 360-degree understanding of the overall design process. Banwood is a family-owned lifestyle brand with a passion for creating high-end cycling products for children. Our core values lie in safety, high quality and timeless design. The founders Juan Manuel Torralvo Castro and Frida Jonsby met in Germany, the home of quality and safeness, where they discovered that Frida’s eye for design and Juan’s family history of manufacturing made a great match. The idea of Banwood occurred from a mutual interest in bikes and the idea of how to implement that into something different. Fiona Walker grew up in the rural setting of Cheshire and spent her twenties and early thirties working as a fashion designer in London, designing clothes for various brands. In 1997 Fiona took a hiatus to raise her family, during this time she set up her own business as a UK wholesaler of toys and gifts. Her natural passion for design led Fiona to start designing her own products that would fit in with the products she was wholesaling. Fiona Walker England was officially created in 2014. Going back into the year 2010 looking for mobility concepts driven by user needs, a team of Austrian designers came up with the first sketch to convert a kids scooter into a balance bike. Plenty of prototypes and two years of test and design development shaped the first born Highwayfreak. A product which was no longer able to be called a scooter. It was the birth of the ScooterBike. 2012 the company was officially founded under the name Scoot & Ride - Scoot of Scooter & Ride of Ride On Toys - in the small town in Upper Austria and step by step the ScooterBike range has been extended to its target group. Affenzahn are sustainable friends of the environment. They have backpacks and accessories. An Affenzhan backpack is a playful companion for preschool and every adventure.